Toyota Company is well known for its quality cars whether it be the earlier Qualis or the present Innova and its luxury sedans and SUVs. 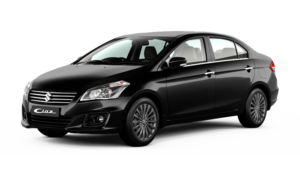 With the huge presence of sedans in India today in the range of 5 to 10 lakh and the need for companies to be able to give a economical but up to date car, Toyota has finally come up with a sedan in the range of 6 to 8.5 lakh, the Toyota Etios. 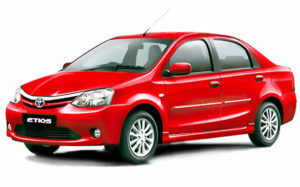 The Etios was launched at the end of 2010 and has received tremendous response so far. Recently I made a visit to Toyota dealer to check out the car in more detail. Below are details and impressions of the same. Toyota Etios comes in four variants dubbed J, G, V and VX which increase in order of features. 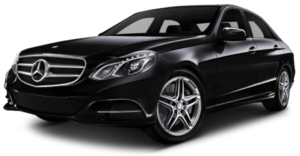 Colour options include Symphony silver, Harmony Beige, Serene bluish silver, Vermillion Red, Celestial Black, and White. The interior layout remains the same, however, the plastic quality has improved. The surfaces feel soft to touch and the cabin no longer feels cheap.The centrally mounted instrument cluster is now an optitron meter with a digital tachometer and an anlouge tachometer. It looks much better than the basic cluster that was present in the previous Etios. While the cluster has readouts for fuel, odo, two trip metres, and the usual tell-tale lights I wish Toyota would have thrown in average and instantaneous fuel consumption readouts too.The music system in the new car is a big disappointment. The head unit looks like it belongs to an entry spec hatchback and so do the tinny speakers. It sounds like an aftermarket unit and I feel Toyota could have sourced a better system. 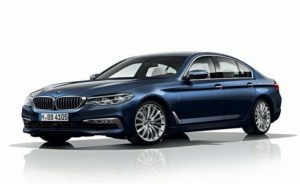 It could have also introduced a touch screen infotainment system instead, given the segment and competition it positions the sedan in. But what the Etios may lack in equipment is made up by the spaciousness of the cabin. 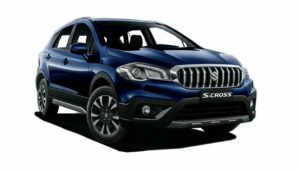 This is easily one of the most spacious cabins across segments and the use of beige around the dashboard, door pads and seats adds to the sense of space in the car. At 2,550 mm the wheelbase is long enough to liberate generous knee room, even for six footers. The seats up front are very comfortable and offers adequate back and under thigh support which goes a long way in keeping fatigue at a minimum on long drives.The rear bench is wide and can easily accommodate three adults without them having to rub shoulders. Toyota has also incorporated a centre armrest that folds flush into the backrest. This explains the slight drop in boot space, from 595 to 592 liters. As a chauffeur driven car, the Etios does have one of the best rear seats in the business. If there is one area Toyota hasn’t bothered to ‘innovate’ with the facelifted Etios, it’s under the hood. There are no upgraded powertrains, only the same old petrol and diesel engines we have been seeing for quite some time. Available with either the 1.4-litre, D4-D diesel or the 1.5-litre petrol engine, we tested the diesel which, incidentally, also powers the bigger Corolla Altis albeit in a higher state of tune. With about 67bhp of power and 170Nm of torque, this 1.4-litre, four cylinder turbo diesel engine not only offers reasonable amount of grunt, but does the job in a rather smooth, linear way. Gearshifts, too, on the short-throw 5-speed manual gearbox are quick and smooth. Thanks to a strong bottom-end, the Etios goes off the moment you prod the throttle pedal. 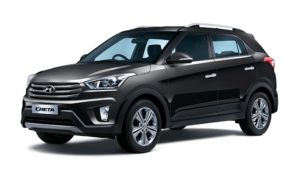 The diesel engine is surprisingly responsive at crawling speeds and as the revs rise, it has enough torque to get you out of light traffic. While refinement levels are not the best in class, this engine obliges to be revved and it is only when the needle is hovering near the redline that it starts to feels like it’s being put through heavy strain. The low kerb weight (just 1020 kilograms) and well-spaced gear ratios allow the Etios diesel to easily keep up with most other diesel cars in its segment. It’s only at highway speeds where the engine’s power deficit is apparent. 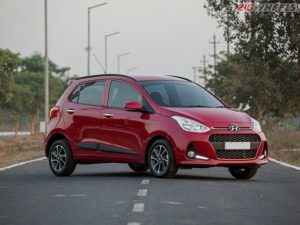 It’s also where the Etios will be outclassed by more powerful diesel cars like the Maruti Suzuki Swift Dzire and the Honda Amaze. The Toyota Etios is actually a very practical car which is also comfortable and efficient. It doesn’t fetch good sales with private buyers mainly due to its quirky-looking exteriors and interiors. While the exteriors have been redesigned mildly now, the interior still has the same layout. However, the Etios now feels more appealing than before and that should positively help Toyota generate some more sales.